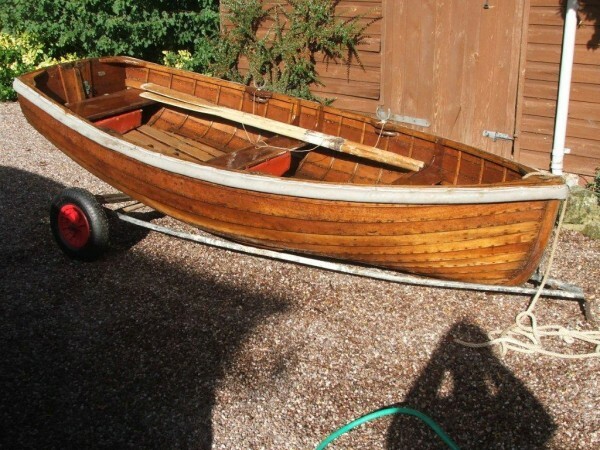 Varnished clinker rowing dinghy, built by Wrights of Ipswich in 1960. Clinker planked in mahogany copper riveted to steam bent oak timbers. Slatted floorboards and buoyancy floats under the thwarts. Galvanised launching trolley, 1 pair of oars and pair of rowlocks. Very nice little boat in smart condition.